After the parliament’s joint sitting failed to finalise a Dzongkhag Thromde and Yenlag Thromde for Pema Gatshel and Yenlag Thromde for Paro, they decided to form a Special Joint Committee, today. The parliamentarians decided on the committee to stop the endorsement from failing again. The Minister for Works and Human Settlement, Dorji Choden submitted the motion for Pema Gatshel Dzongkhag Tshogdu’s endorsement. It recommended Denchi to be declared as Dzongkhag Thromde, and Nganglam as Yenlag Thromde. 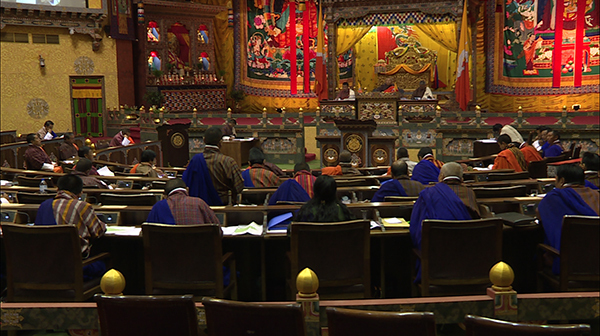 Over the course of an extensive deliberation, Members of Parliament from Pema Gatshel were reluctant to take part in the deliberation. Upon requests by the members, some MPs shared what they had during last session’s deliberation. The Panbang MP, Dorji Wangdi said all the opposition members supported the recommendations and he blamed the government for their lack of support. Some members of the parliament in support of Denchi as Dzongkhag Thromde said Denchi was more feasible than Nganglam. At the end of the discussion, majority of the members through raise of hands decided to form Special Joint Committee. The members of 12 from the two Houses will present their report tomorrow. Meanwhile, the joint sitting also could not finalise on the Yenlag Thromde for Paro, as it did not secure the required number of votes. The special joint committee is to take up the study.